A strange setting for a rare bird. 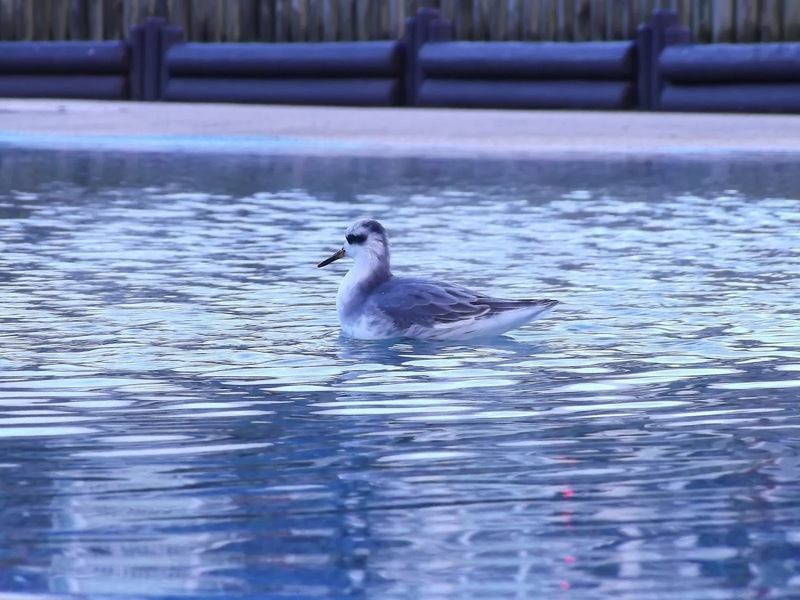 Swimming around without a care in the world – in a children's paddling pool by the seaside. 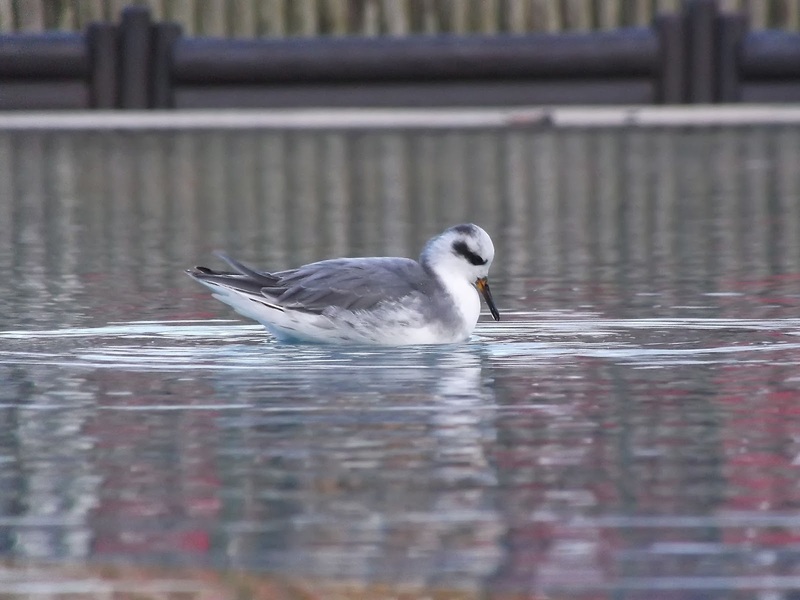 Hove was the place, a Grey Phalarope was the rare bird, and they don't come much cuter than this dainty little wader. 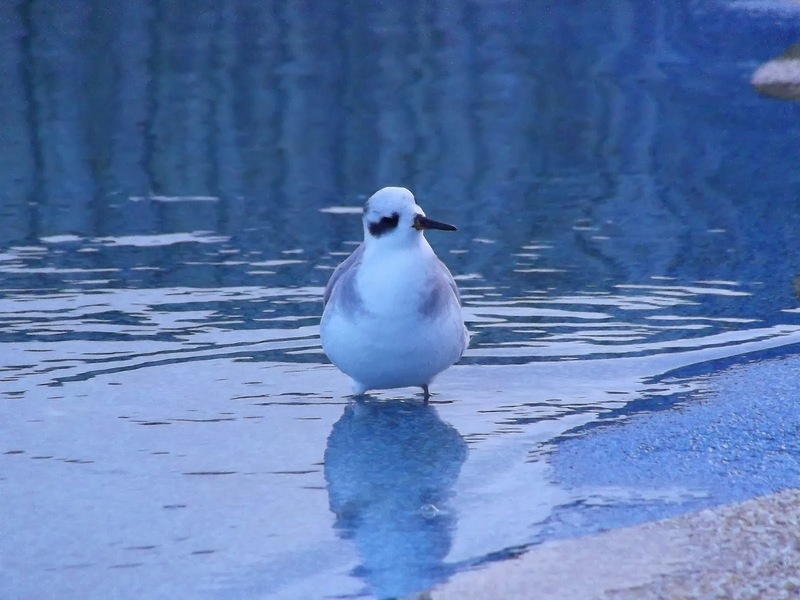 Yet another bird that doesn't regard human beings as predators. As a consequence it was possible to get as close as a couple of feet away while it eagerly swam around the shallow pool. A small group of birders turned up this morning, including a few eager photographers. 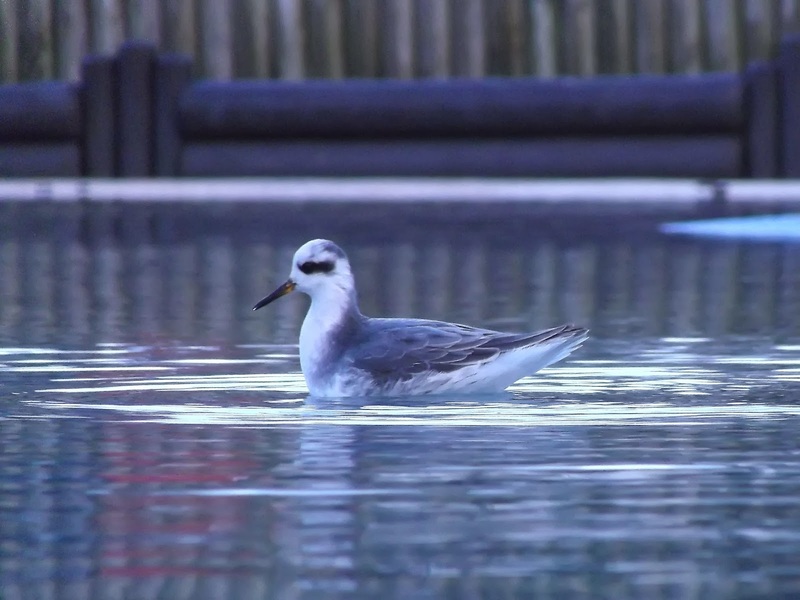 Apparently, some prime Phalarope feed had been dropped into the water once it was clear it was happy to swim around the paddling pool rather than one of the two lagoons nearby. 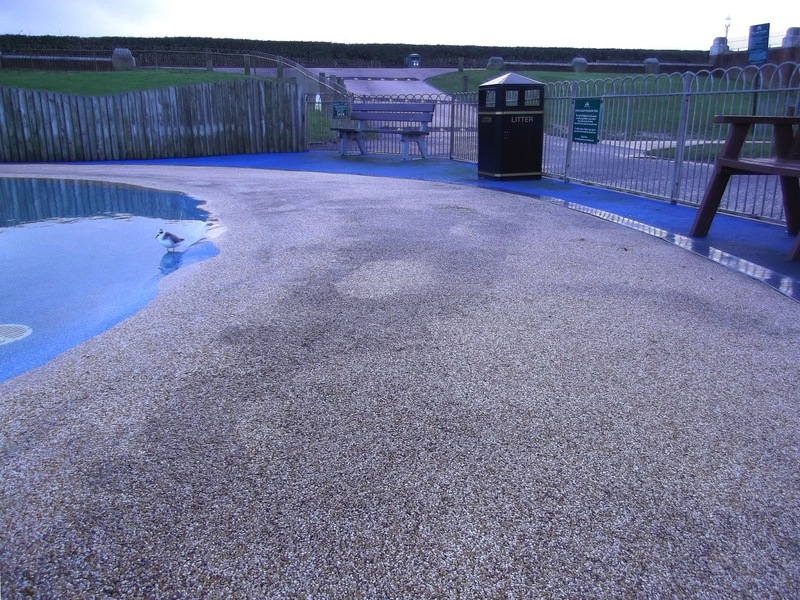 My original concern was that it would be disturbed by families and dog-walkers, but the pool is gated off so it wasn't disturbed at all, apart from by birders. 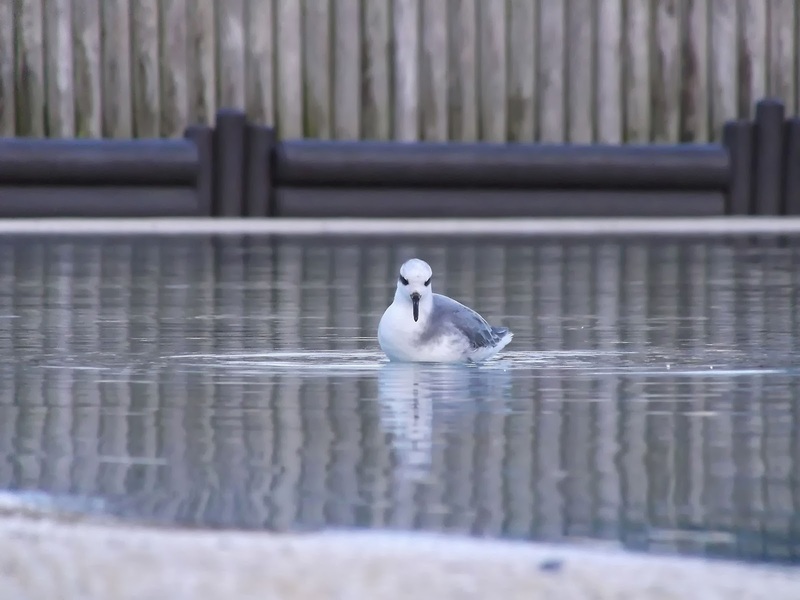 A number of passers-by stopped to ask what the cute little bird was and what was it doing swimming around in a children's playground, and most cooed once they knew it was likely to have lost its way, blown off course by the storms, to be in Hove. 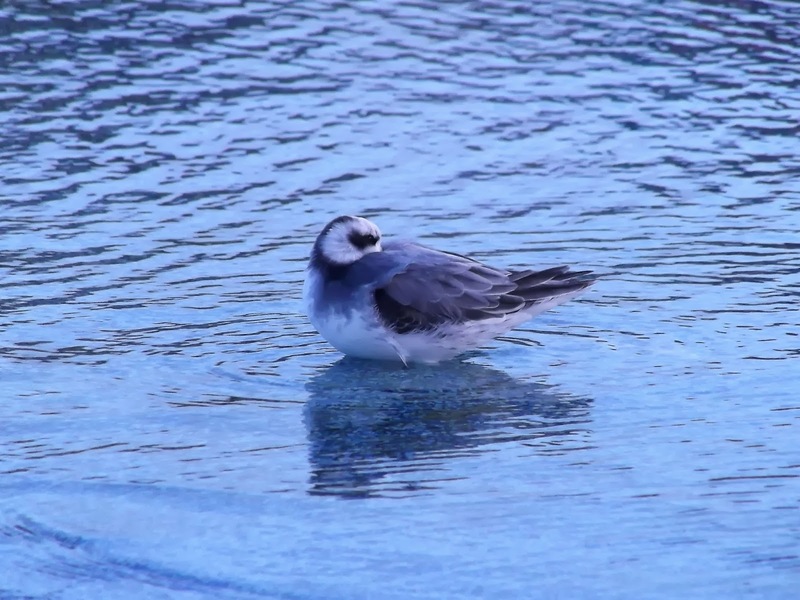 A bird worth seeing, if only to see a delicate little wader close up, before it moves on. On the way home I dropped in at Old Lodge on Ashdown Forest, in the hope of catching up with the nine Parrot Crossbills seen there during the past week, but during the 90-minute visit the sum total was one female Reed Bunting. Annoying.